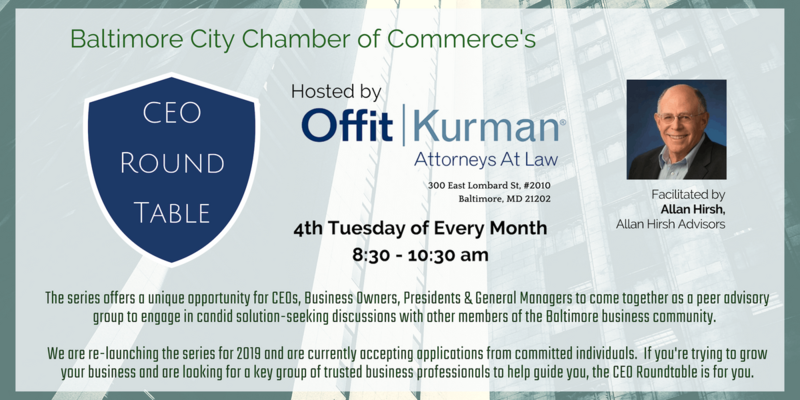 The series offers a unique opportunity for CEOs, Business Owners, Presidents & General Managers to come together as a peer advisory group to engage in candid solution-seeking discussions with other members of the Baltimore business community. We are re-launching the series for 2019 and are currently accepting applications from committed individuals. 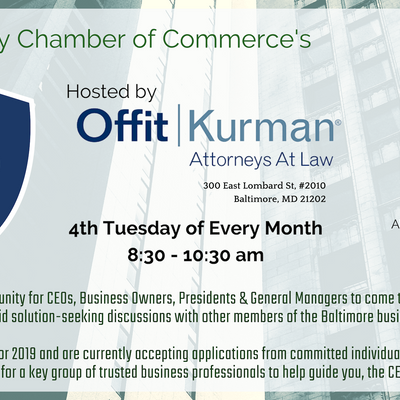 If you're trying to grow your business and are looking for a key group of trusted business professionals to help guide you, the CEO Roundtable is for you.